he hadn't even heard me. deprived me of my kiss?" Oh! So he heard. I sighed. and it is hurting me." would call him by his name. He got back his tongue. "What nonsense are you ranting?" he growled. put that idea in your head"
me. "You don't believe me? 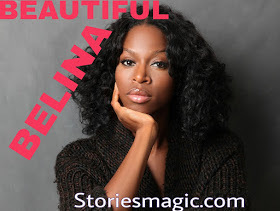 0 Response to "STORY:BEAUTIFUL BELINA (Season 2,Episode 39)"